Electronically published March 19, 2018. Institute of Medicine and The Duke Endowment. All rights reserved. While sometimes underutilized and misunderstood, Early and Periodic Screening, Diagnostic and Treatment (EPSDT) is a foundational benefit of children’s Medicaid. EPSDT not only allows for clinical and social service providers to monitor child overall health and development, it can help providers identify, monitor, and address more complex health concerns. Adverse childhood experiences (ACEs) are stressful or traumatic experiences that may include acts of commission and omission that impact individuals throughout the lifespan . Building on the growing body of evidence of the broad range of social and health effects of ACEs that follow children into adulthood and knowledge that ACEs can be prevented, the Centers for Medicaid & Medicare Services (CMS) shared policy guidance with states in 2013 to support and encourage the identification, assessment, and treatment of complex trauma . More specifically, the guidance notes provisions in the Affordable Care Act and Medicaid that can help guide state work to address complex trauma. There is special focus on EPSDT’s periodic and inter-periodic screenings to help identify suspected physical and/or behavioral health needs. The CMS guidance notes that “a change or presentation of acute behavioral health needs” may warrant an inter-periodic screening to identify the need for additional diagnostic and treatment services for physical and behavioral health needs . On average, 55% of births in North Carolina are covered by Medicaid. In many rural counties the percentage is higher. Between 2011 and 2015, nearly 85% of births in Edgecombe County were to mothers with Medicaid . In that same time period, 59% of children in the county had Medicaid or NC Health Choice coverage . While the following data are not Edgecombe County specific for children with Medicaid, some data show that 64% of children with Medicaid report one or more ACEs . According to data in other states, nearly 30% of children with Medicaid aged 12 to 17 years reported having 3 or more ACEs . Considering these data, increasing the utilization and awareness of the EPSDT benefit is one pathway to prevent, monitor, assess, and treat ACEs and other complex traumas. ACEs are not typically a singular event, and children have unique ways to cope. There has been much guidance on rehabilitative services for behavioral health, ranging from outpatient services to individualized behavioral health and substance use disorder treatment in a school or the family’s home. In some cases, children respond with aggressive and concerning behavior, which usually warrants a call to a mobile crisis response team. Described as community based interventions by CMS, mobile crisis response teams are one rehabilitative service covered by EPSDT . In another policy guidance letter to states, CMS notes that mobile crisis response teams are a part of a “wraparound” approach to care . These teams are part of an array of community based interventions that are effective in improving behavioral health stabilization outcomes for children and adolescents because the services are provided in a familiar place . The intent of these teams is to prevent further escalation of behavioral health crises that may lead to hospitalization or other outof- home placement. While not necessarily preventative, mobile crisis response teams serve as a protective factor against future crises. Mobile crisis teams work with the child or adolescent to de-escalate the situation in an effort to regain emotional stability. Then, the team creates a crisis plan involving the client and the client’s support system: family members, teachers, school counselors, and other treatment providers. The plans help families identify triggers for future crises . Identified triggers are often associated with ACEs. Another strength is that the mobile crisis support team helps families build capacity by working with the child and support system to develop coping strategies that can be used to prevent a crisis in the future. Afterward, the mobile crisis team follows up with the child and support system to evaluate the crisis plan, conduct psychosocial education, and enhance coping skills (Natasha Holley, Clinical Director Integrated Family Services, personal communication, December 2017). Mobile crisis teams can be an indicator that preventative mental health care is lacking. In Edgecombe County, Integrated Family Services provides mobile crisis response teams, outpatient therapy, and services related to foster care, among others. Staff are intentional about trauma-informed care. The mental health assessments and interventions performed by agency staff include indicators of trauma. For example, Integrated Family Services uses the Comprehensive Health Assessment for Teens (CHAT)  and Structured Sensory Interventions for Traumatized Children Adolescents and Parents (SITCAP) . These evidence-based therapeutic tools are specific to children and adolescents and can be used to accentuate traumatic events and develop preventative measures against a crisis. Integrated Family Services has found Medicaid and EPSDT beneficial in securing mental health care and trauma-informed services for children and adolescents. Because of EPSDT, Medicaid beneficiaries under the age of 21 have access to a broad array of comprehensive services that address trauma, and the program is critical in ensuring continued and regular use of effective screenings and interventions to address childhood trauma. Sydney Idzikowski, MSW intern, University of North Carolina at Chapel Hill, School of Social Work, Chapel Hill, North Carolina. 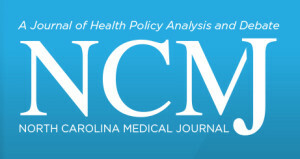 Ciara Zachary, MPH, PhD policy analyst, North Carolina Justice Center, Raleigh, North Carolina. The Mobile Crisis Number is 1-866-437-1821. We thank clinical and social service providers as well as caregivers and community members with whom we’ve collaborated with for this project. Their insight and willingness to share their experiences has been valuable. We also thank Sharon McDonald Evans, MPH, and Natasha Holley, MSW, LCSW, LCAS, CCS, who have helped us understand the utilization of the EPSDT benefit in Edgecombe County. Potential conflicts of interest. S.I. and C.Z. are working with the National Health Law Program on a project named “Integrating Clinical and Community Health through EPSDT,” which is funded by The Robert Wood Johnson Foundation. Substance Use and Mental Health Services Administration. Adverse childhood experiences. SAMHSA website. https://www .samhsa.gov/capt/practicing-effective-prevention/prevent ion-behavioral-health/adverse-childhood-experiences. Updated September 5, 2017. Accessed November 13, 2017. Sheldon GH, Tavenner M, Hyde PS. Department of Health and Human Services; 2013. https://www.medicaid.gov/federal-policy -guidance/downloads/smd-13-07-11.pdf. Accessed December 5, 2017. North Carolina State Center for Health Statistics. Percent of births to Medicaid and WIC mothers: 2011-2015. NC SCHS website. http://www.schs.state.nc.us/data/databook/CD7D%20Medi caid%20and%20WIC%20births.html. Updated October 11, 2017. Accessed November 11, 2017. Georgetown University Center for Children and Families. North Carolina: sources of children’s coverage by county, 2011-2015. Washington, DC: Georgetown University Center for Children and Families; 2017. https://ccf.georgetown.edu/wp-content/ uploads/2017/05/North-Carolina.pdf. Accessed November 11, 2017. Srivastav A, Fairbrother G, Simpson LA. Addressing adverse childhood experiences through the Affordable Care Act: promising advances and missed opportunities. Academic Pediatrics. 2017;17(7):S136-S143. Lucenko, B, Sharkova, I, Mancuso, D, Felver BEM. Adverse childhood experience associated with behavioral health problems in adolescents: findings from administrative data for youth age 12 to 17. Olympia, WA: RDA; 2012. https://www.dshs.wa.gov/sites/de fault/files/SESA/rda/documents/research-11-178.pdf. Accessed November 29, 2017. Mann C, Hyd PS. Coverage of behavioral health services for children, youth, and young adults with significant mental health conditions. Substance Abuse and Mental Health Services Administration; Centers for Medicare & Medicaid Services; 2013. https://www.medicaid.gov/federal-policy-guidance/downloads/ cib-05-07-2013.pdf. Accessed December 5, 2017. Hazelden Publishing. Comprehensive Health Assessment for Teens. Hazelden website. https://www.hazelden.org/web/public /asimv_chat.page . Accessed January 20, 2018. STARR Commonwealth. Structured Sensory Interventions for Traumatized Children Adolescents and Parents. STARR Commonwealth website. https://www.starr.org/sitcap. Accessed January 20, 2018.